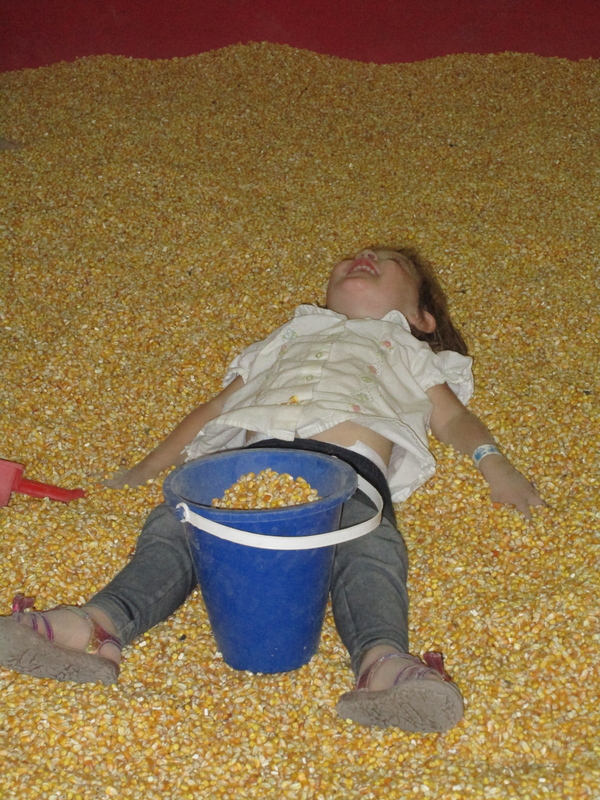 Above is a photo of the mangy munchkin playing dead in a sandbox full of corn at the county fair this past August. 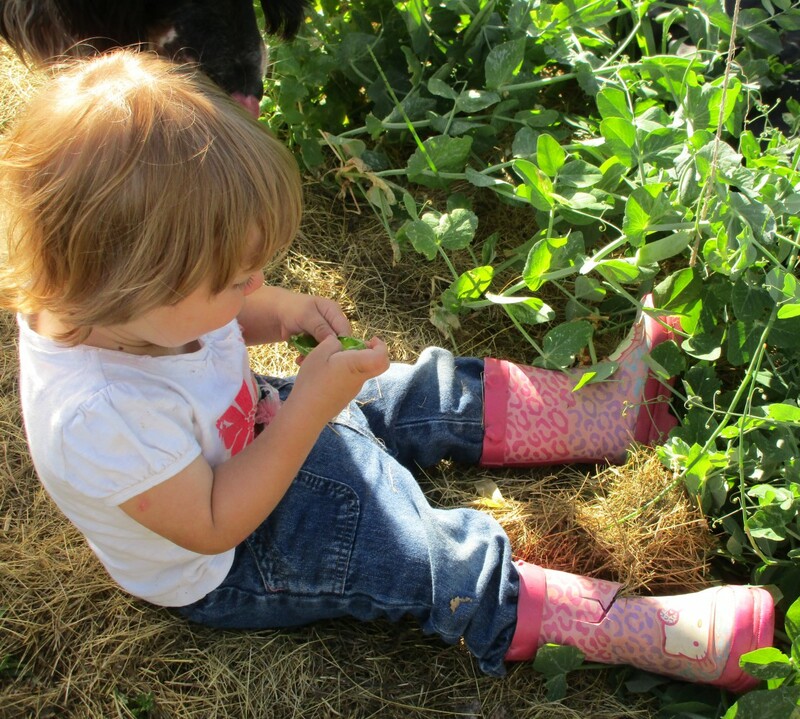 At two years old, she couldn’t see the irony in her drama, but it didn’t escape me. Corn, as I see it, is at the root of America’s rising death rates from obesity and chronic disease. Let me share with you just a little bit of the story told by Michael Pollan in The Omnivore’s Dilemma along with some of my own research into the practices of the FDA, the federal Food and Drug Administration. If you’ve ever driven across the midwest, you have a sense of the vast amounts of corn produced in the United States. Mile after mile of cornfields line the highways and county roads, stretching as far as the eyes can see. But where does all that corn go? Americans, after all, aren’t known for our corn consumption. We eat corn on the cob in the fall and make the occasional batch of cornbread to go along with our chili, but we certainly don’t eat enough corn to justify it occupying more land than any other crop in the country. Or do we? Pollan shares how scientists have compared the carbon isotypes in the skin and hair of North Americans from the United States and from Mexico–where corn is a staple of the daily diet–and have found that residents of the United States comprise far more corn than Mexicans. We are what we eat, and apparently we eat a lot of corn. If you’ve ever read the ingredients list on a packaged food product, this fact shouldn’t surprise you. Corn oil, citric and lactic acid, glucose, fructose, high fructose corn syrup, maltodextrin, ethanol, sorbitol, mannitol, xanthum gum, modified and unmodified food starches, and monosodium glutamate (MSG) are just a few of the processed ingredients extracted out of a kernel of corn to make that kernel profitable. Oh, and those “natural” flavorings in your foods? They most likely come from corn, too, whether the food itself has anything to do with corn; “natural” just means it isn’t synthetic, but it can still be highly processed. Also, when you eat meat, unless you take care to purchase it from grass-fed animals, you are also eating corn since a significant portion of the corn grown on American soil goes to feed cattle, pigs, and chickens. Animals fed a high-corn diet have a different, and unhealthy, ratio of omega-3 to omega-6 fatty acids, which researchers are now associating with high levels of chronic disease. Why and how is corn so ubiquitous in our food chain? It turns out that corn is a particularly productive crop to grow in terms of extracting the largest number of calories per acre; it was also one of the first patented hybridized crops developed to produce uniform yields, making it an excellent candidate for industrialization. Over the years, the food industry has colluded with the federal government to keep the price of corn low by pushing legislation that provides subsidies to corn farmers in the form of direct payments to make up the difference between an established target price for corn and the actual market price. Such policy encourages farmers to flood the market with corn because they know the government will make up the difference between the lower market price caused by a surplus and the established target price. Consequently, market prices stay low since supply is so high, meaning major food companies can purchase corn on the cheap to turn into the multifaceted ingredients you read on food labels. If I submit a GRAS notice about a food substance, must I wait until I receive a response from FDA before I market that substance? No. If one is correct in determining that the intended use of an ingredient is GRAS, use of the ingredient is not subject to any legal requirement for FDA review and approval. Your decision to submit a GRAS notice is voluntary, and FDA’s response to a GRAS notice is not an approval. You may market a substance that you determine to be GRAS for a particular use without informing FDA or, if FDA is so informed, while FDA is reviewing that information (62 Fed. Reg. 18951; April 17, 1997). In other words, a company can determine via its own study that an ingredient is safe to use in foods marketed and sold in the United States. It’s a matter of innocent until proven guilty: a substance is allowed in our foods until somewhere down the line either the FDA or independent researchers determine that it is indeed harmful and should be removed from the shelves. This is what happened with the now-infamous trans fatty acids that replaced butter and palm oil (saturated fats) for so many decades. Researchers eventually realized that hydrogenated vegetable oils (which are typically corn oils) behave in harmful ways in the human body and now recommend against ingesting any trans fats at all. Can’t believe it’s not butter? Can’t believe it was never even studied before being marketed to millions of Americans as a healthy alternative to what turns out to be a perfectly healthy food (real butter)! These are all reasons why I only purchase whole, unadulterated foods to feed my family. Fruits, vegetables, beans, lentils, rice, and pasture-raised meat and eggs are staples on our household. And we eat lots of butter–the real stuff. I simply don’t trust the food industry to make decisions about the healthfulness of what goes into our bodies so I don’t buy foods produced by it. I don’t like to live in the kitchen, either, so I look for foods that are easy to cook in large quantities, and that are just plain easy to cook! With time, I’ll populate my recipes category with meals and snacks that are easy for even the working parent to enjoy so that more Americans can move away from their corn-based processed food diets to more traditional, wholesome diets based on a variety of age-old alternatives.